This unique brand of environmentally-conscience cardboard creations has now set up shop (albeit virtually) in Australia. We gave Green Lullaby our tick of approval some years ago when we first featured its range of children’s furniture, storage and play items. We’re thrilled that the brand has now established a shipment line to Australia, and is regularly sending its wares to our shores. Green Lullaby creates innovative items made entirely of cardboard, which means eventually instead of ending up in landfill, they can be recycled. 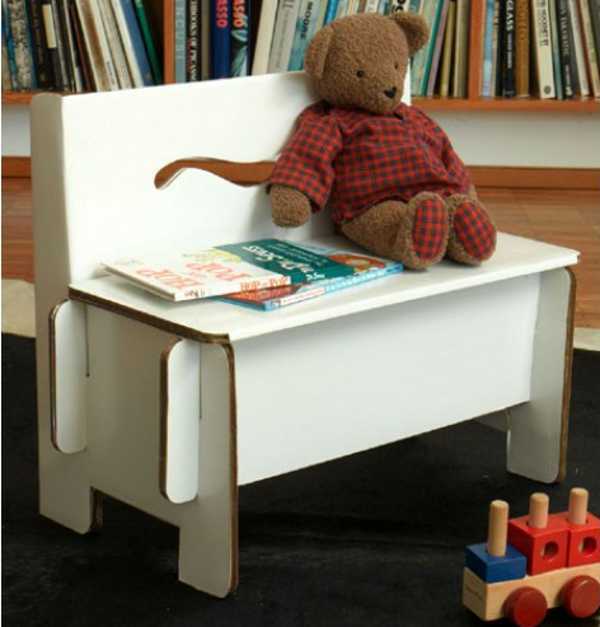 And you’d be amazed at what sorts of things are in the range – from toys to benches – even a cradle. The Ecocradle (above) costs $59.95, while the Benz Bench (below) is $49.95. You can take a look at what’s available in Australia at Green Lullaby.